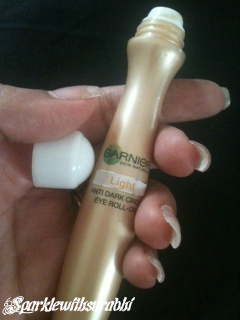 A few days ago I purchased the Garnier Skin Naturals Anti Dark Circles Tinted Care which was recently launched in India. 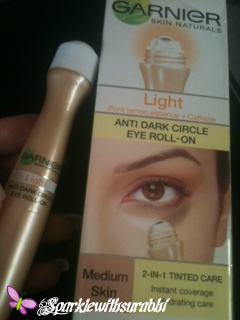 This product claims that it has a refreshing roll on with dual anti- dark circles action. It is concentrated with mineral pigments and instantly covers dark circles and it is also enriched with caffeine and pure lemon essence known for its brightening and hydrating properties! Well I agree!!! It is a wonderful product and I have seen instant results. 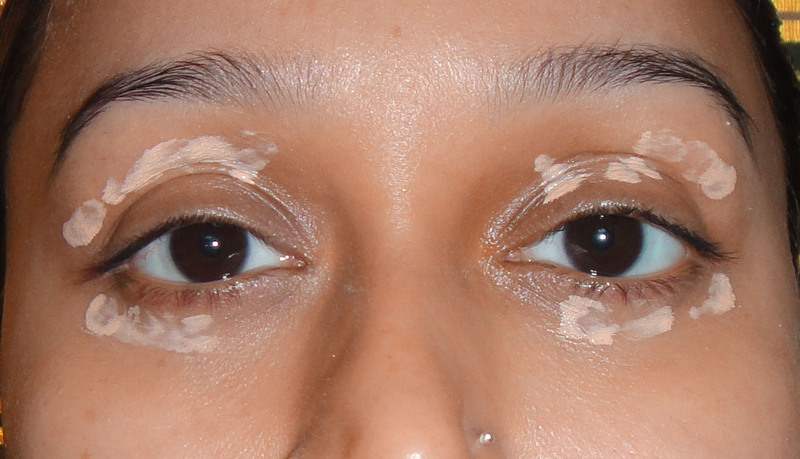 It not only covers your dark circles but also treats them. I bought mine in fair skin colour and my husband like it so much that he started using it himself every morning!!.... So I went ahead and bought him another from the drug store in Medium colour which suits him more. Overall it is a really good product. Don't Miss it!! 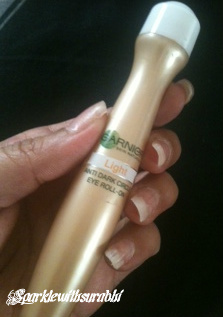 New Update13/12/11- I recently got to know through Peta.org that Garnier Products are tested on animals. I shall not be purchasing them anymore. I regret buying this product now!